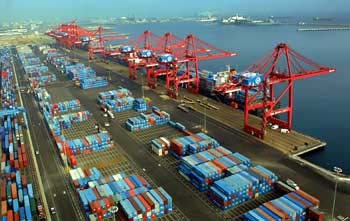 Welcome to the "Goods Movement and Ports" webpage. The goods movement industry is a vital component of California's economy. Cal/EPA have partnered to bring all stakeholders together to discuss and address the important issues regarding improving the movement of goods and reducing its environmental impacts in California. With the help of affected industries and other interested parties, policies and programs are being developed to reduce congestion and to address the environmental impacts resulting from the growth of movement of goods in California. Please consider joining one or more of the ARB's Goods Movement, Ports & Rail related list servers. For more information about Goods Movement and Ports, please contact Cynthia Marvin, Division Chief, Air Resources Board at (916) 324-0062.